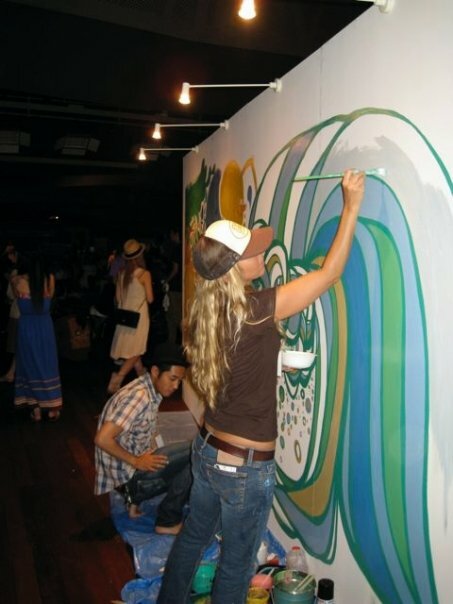 Just found these photos from a mural that one of my favorite artists, Yusuke Hanai from Japan, and I painted during the 2009 Greenroom Festival in Yokohama Japan. I rarely get a chance to paint this big and honestly I am usually really intimidated by doing it. This was super special as The Mattson 2 were playing live during our painting session.